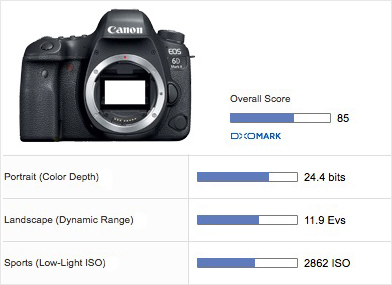 DxOMark: Canon 6D Mark II has Great Color & ISO Performance ! 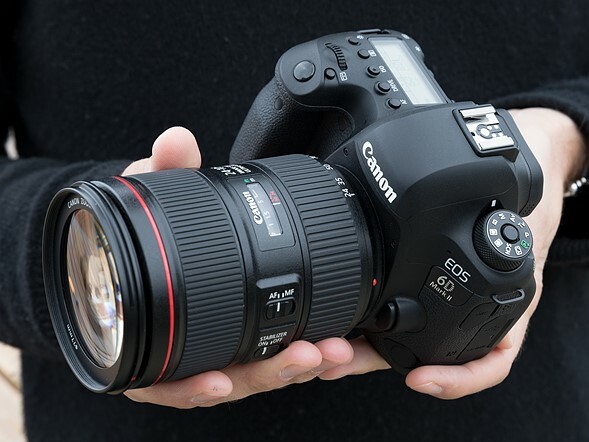 Canon’s 6D proved a popular and affordable DSLR for serious-enthusiasts looking to step up to full frame, or pros after an affordable second body. Five years on, it was crying out for an upgrade however, and the 6D Mark II’s resolution boost, improved autofocus system, faster frame rate and touch-screen LCD make it a more viable option in the modern market. Its sensor performance continues the upward trend for Canon chips too, although it doesn’t quite hit the dizzy heights of Canon’s best sensor to date in the 5D Mark IV. This is a result of notably lower dynamic range recorded by the 6D Mark II at base ISO, which is a concern for photographers after the best image quality in good light. From ISO 800, dynamic range is much closer to the performance of semi pro rivals such as the Nikon D750 and Sony A7 II however, and with good color sensitivity at all settings and well-controlled noise the 6D Mark II lends itself better to low light photography. Previous Previous post: Profoto A1 Studio Light On-Camera Flash Announced !